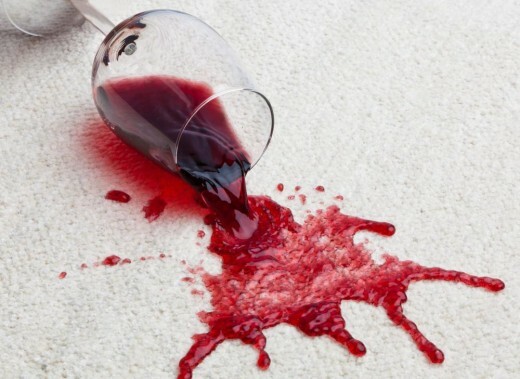 You’re at home with friends enjoying a nice bottle of red wine over dinner when disaster strikes – someone knocks over a full glass of red wine onto the floor, and now your clean white carpet looks like a crime scene! What do you do? First of all, don’t panic! 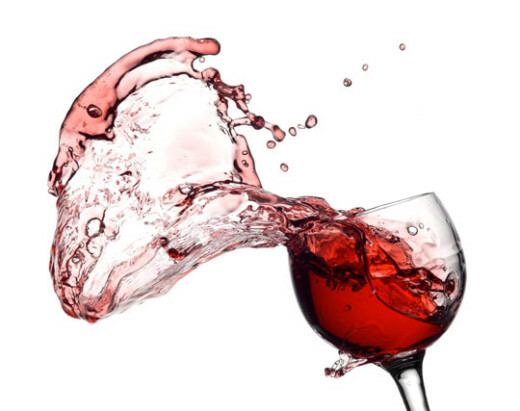 This is a very common occurrence and there are steps you can take to get a wine spill cleaned up and looking as if it never happened. The first thing you want to do is blot up the excess. Grab several clean towels and start blotting, soaking up as much as you can. You can also pour a little club soda on the spot and continue blotting. The carbonation in club soda could help in lifting the stain. Move on to a clean dry cloth and repeat until you have absorbed most of the liquid. Be careful not to rub the spill, you don’t want to push it even deeper into the carpet. Next you need to make a detergent solution. Mix 1/4 teaspoon of non-bleach Tide powdered laundry detergent and one tablespoon of vinegar into 1 quart of warm water. If you don’t have the powdered laundry detergent, use 1/4 teaspoon of liquid dish-washing detergent. Next dip a clean white towel into your mixed cleaning solution and start blotting the stain, start around the edges and work your way in. Move on to a clean part of the towel as you apply more of the cleaning solution. Make sure you are not aggressively scrubbing the stain, this could distort the carpet and even damage the fibers. If this is not getting all of the stain out, add some 3% Hydrogen Peroxide (the brown bottle in the medicine cabinet) to your detergent solution. You want to be careful using the Hydrogen Peroxide, it would be wise to try it out in an inconspicuous area first to make sure it doesn’t affect the color. After you’ve used your detergent solution, use a clean towel and some water to rinse the area followed by a dry cloth to absorb as much moisture as possible. If some staining still remains mist some of the Hydrogen Peroxide on the spot and leave it. If wicking is a concern, cover the spot with a folded dry towel and place a heavy object on top of it, like a book. These tips should help you in removing a red wine stain. If the stain still won’t budge, contact a professional carpet cleaning company. If you are looking for camdenton carpet cleaners, call SteamPro Carpet Cleaning and we would be happy to set up an appointment.